Week 1 was a bit of a mixed bag for public bettors. The Ravens blew the doors off the Bills — a win for recreational bettors — but went over the total all by themselves, punishing all those on the under. The Vikings, Bengals and Panthers all covered, but the Packers hurt bettors despite Aaron Rodgers’ miraculous comeback. The Saints, a huge public team in Week 1, lost straight-up in a stunner to the Bucs. 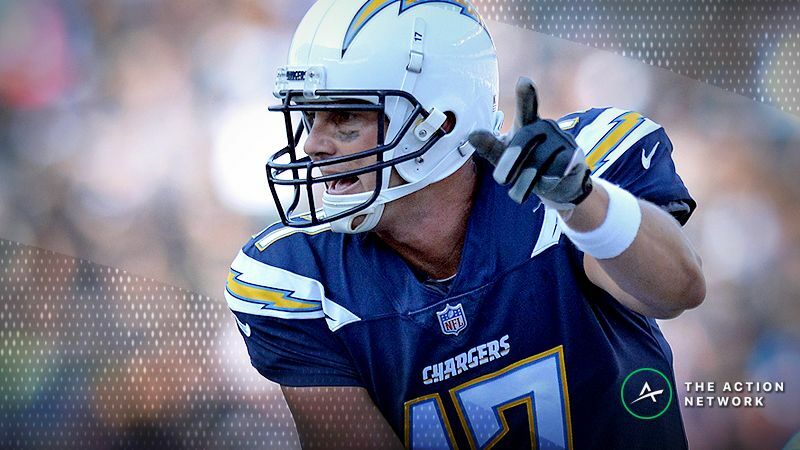 At 83% of bets, the Chargers are currently the favorite play of bettors for Week 2. Most bettors should have had an opportunity to take them at -7, as the line settled in there during the early portions of the week, but sportsbooks have been forced to push the line off the key number and up to -7.5 and even -8 at some shops. Why the public loves the Chargers: I believe this is more “the public hates the Bills” than “the public loves the Chargers.” The Chargers did have high expectations entering the season but obviously disappointed a bit in Week 1 against the Chiefs. Meanwhile, the Bills had zero expectations, yet somehow fell short of them, losing, 47-3, to the Ravens. Even though rookie QB Josh Allen was given the nod this week, it hasn’t persuaded many folks to take the Bills. With Houston at just -2.5, 81% of bettors haven’t been able to resist the Texans. They opened at -1.5/-2 around the market and the line has moved in their favor, but oddsmakers have yet to push the line up to the key number of 3. Why the public loves Houston: This one is a bit more puzzling, as the Texans did not look good in Week 1 against the Patriots. This especially goes for Deshaun Watson, who looked so rusty that team doctors were administering tetanus shots on the sidelines to anyone who had been in contact with the second-year quarterback. I suppose that bettors aren’t falling victim to recency bias with this game, which is actually wise. You never want to jump to conclusions after seeing just one week of action. We have ourselves an over, folks. The first week of the season did not feature any overs that were very popular, but games such as the Bucs-Saints’ Week 1 shootout reminded bettors that rooting for points is fun. At 78%, this over is one of three totals attracting more than 70% of bets. I need not, but I will. The Bucs nearly eclipsed their Week 1 over/under on their own, and bettors are expecting more magic from the Harvard grad Ryan Fitzpatrick. Surely the Eagles defense will put up much more of a fight, but 44 is too low of a number for over bettors to resist. Let’s not forget that the Eagles are capable of putting up points, too, and are taking on a Bucs defense that allowed 40 points to the Saints. The Bucs won the game, but I’m sure defensive coordinator Mike Smith wasn’t very happy.